This is a rectangular Piedmont Virginia Cigarettes porcelain sign. 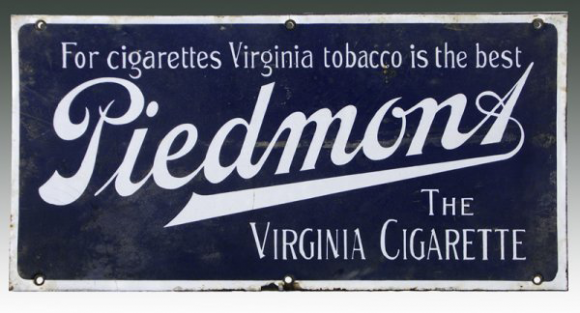 This particular Piedmont Virginia Cigarettes sign is blue with white text. It reads, “For Cigarettes Virginia Tobacco Is The Best, Piedmont, The Virginia Cigarette” and features a thin white border.